Here is a photo of a Haitian police car. Haitian police car colors are white with blue doors and blue hoods. 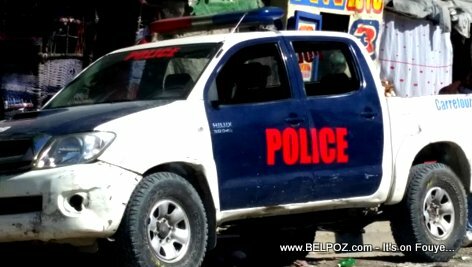 The Toyota Hilux is a popular police car in Haiti.